Who here has ever heard of Pavillion, Wyoming? No one? Right. So it stands to reason that no one has ever heard of Miss Ginny’s Roost Steakhouse, either, right? Which is really too bad. This place is classic. Pavillion is a town of fewer than 300 hearty residents and no less than 150 miles from any major road. In the middle of nowhere, this place looks up at the Wind River Mountains, down into the Wind River Indian Reservation, and over at the endless high planes of Wyoming. For most of us, there is no reason to ever go to the town; I’ve lived in the same county for four years and had never been there until this weekend. There is no way you would find yourself accidentally passing through. It boasts a post office in a double wide, a general store with a “Basketeria” sign out front, and a bar. And most importantly, The Roost. The owner, Ginny Warren, came to Wyoming after Katrina when she had finally had enough of the hurricanes. Why she chose the little cattle ranching community of Pavillion, I don’t know, but she brought with her a love of crawfish, Cajun spices, and the NOLA dining experience. I’ve seen it described on places like Trip Advisor as a “typical” cowboy steakhouse or saloon, and it’s really not, unless you’re talking just about the Old West façade out front. The building itself looks like something out of Tombstone. But inside, there is very little that screams “Wyoming” except maybe the prevalence of cowboy hats among the clientele. In fact, the interior looks more like something you’d find in rural Louisiana: pink flamingo décor, faded wood accents, perpetual Christmas lights, checkered tablecloths, plenty of kitsch to go around. And last weekend, thanks to a random Facebook post and a brilliant idea, we found ourselves making the 40-minute trek from Lander, WY, to Pavillion (even compared to a town in the middle of nowhere, this place is in the middle of nowhere) for a New Orleans Easter Sunday Brunch. Like most of the seatings, The Roost features a multi-course, prix fix menu with your choice of Cajun or Creole or otherwise New Orleans main course. Be forewarned: the service can be a bit (a lot) slow. Partially due to the New Orleans culture—which generally encourages sitting and enjoying and sitting and enjoying some more—and partially due to the small town and limited availability of servers. So come prepared to spend time hanging out and socializing; trust me, it’s worth it. And drinks: a standard mimosa; a brandy milk punch with brandy, milk, sugar, and nutmeg; an Easter egg basket of (very adult!) 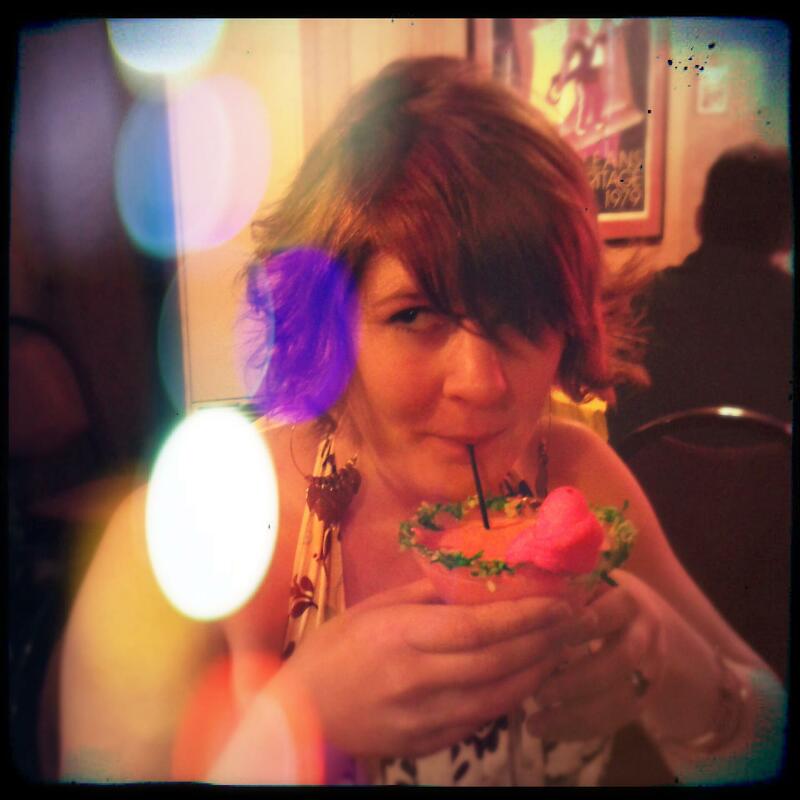 cheery vodka, triple sec, cream, grenadine, a coconut rim, and a peep for posterity; and a Louisiana Purchase, made with Grand Marnier, grapefruit juice, and…. Other stuff? Honestly, by that point, who cared? It was dry, crisp, and refreshing! The menu changes every day that they are open, and Ginny tries to emphasize ingredients that are seasonal or seasonally festive, and each dish is handpicked by the diligent, if a bit scatterbrained, owner. 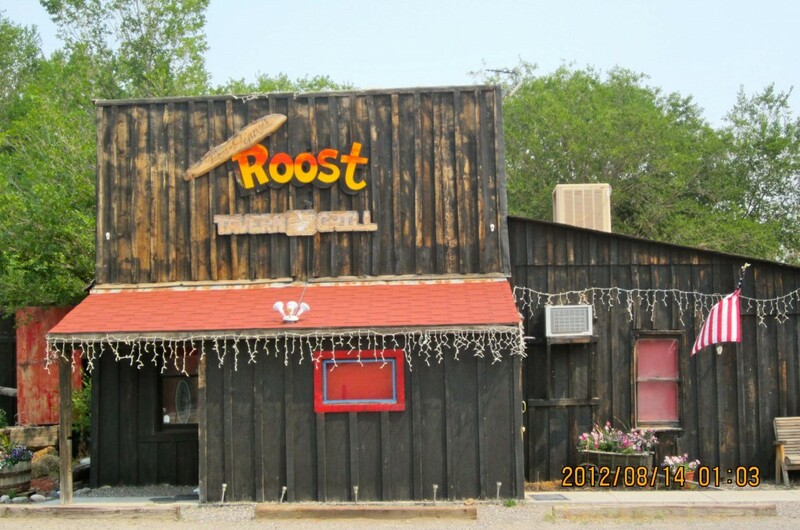 Currently, The Roost is open Thursday, Friday, and Saturday starting at 5:00 pm. Sometimes she gives Sunday brunches a whirl, and she often does special meals for holidays. Keep up with (often last minute) updates on Facebook or give her a call at (307) 857-6019 and leave a message. Reservations are often recommended just so Ginny knows how much of each course to prepare. Pavillion, WY, is certainly not a place you would stumble on by happenstance, and because of the remote nature of the community, Miss Ginny’s Roost isn’t the kind of place you would just drive by and think, “Man, that looks interesting; let’s try it!” (though if you ever DID find yourself in town, it certainly would be the kind of place that would draw in random travelers) And though it’s off the beaten path, this unique, Cowboy Cajun hidaway is worth a stop, whether you’re passing through Wyoming on your way to Yellowstone or you’ve lived in Lander for years.